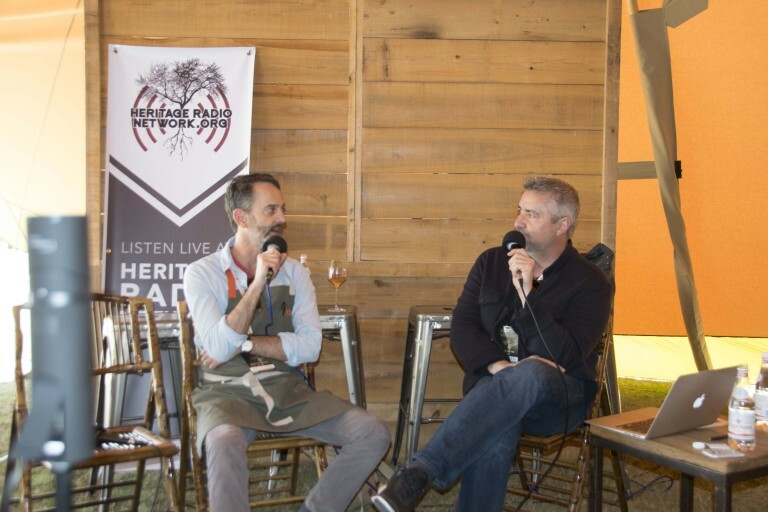 For the fourth year running, Heritage Radio Network has partnered with Charleston Wine + Food to bring live podcasting to the festival’s Culinary Village. HRN hosts have interviewed dozens of chefs, winemakers, farmers, distillers, educators, writers, and artisans in the “Holy City,” and there have been a handful of guests that have made an annual appearance (at least three years or more)! Here are a few of our friends who have joined us in making podcasts at Charleston Wine + Food an unforgettable tradition. Always a good sport, Robert has joined us for drinking stories, Charleston trivia, a grand finale HRN Happy Hour, and most recently, an in-depth chat about unique regional foods, like shad roe. Plus, no trip to Charleston Wine + Food is complete (by HRN standards at least) without breakfast at Robert’s restaurant, Hominy Grill. Click here for Robert Stehling’s appearances in 2016, 2017, 2018, and 2019. It’s no secret that we adore Katie Button. The Asheville-based chef behind Curaté was part of our first ever Charleston Wine + Food interview lineup, and went on to do double interviews in the 2017 and 2018! In 2017, Katie sat down to talk about her culinary journey through Spain (where she worked for Ferran Adrià and met her husband Félix Meana) and joined a Radio Cherry Bombe panel. Then in 2018, she was part of a conversation involving the Williams Sonoma Chefs’ Collective and joined Sam Benrubi for an impromptu chat on Spanish wines! Click here for Katie’s appearances in 2016, 2017 (one and two), and 2018 (one and two). It’s never a dull moment when Maneet Chauhan (Chopped judge and Nashville-based chef) is around. She has a talent for turning our podcasts into parties (and drinking Wölffer rosé straight from the bottle)! In 2017, we paired Maneet up with Meherwan Irani (Chai Pani) for a fascinating chat about Indian cuisine. (Following the meeting of these two minds, the dinner series Brown in the South was born.) 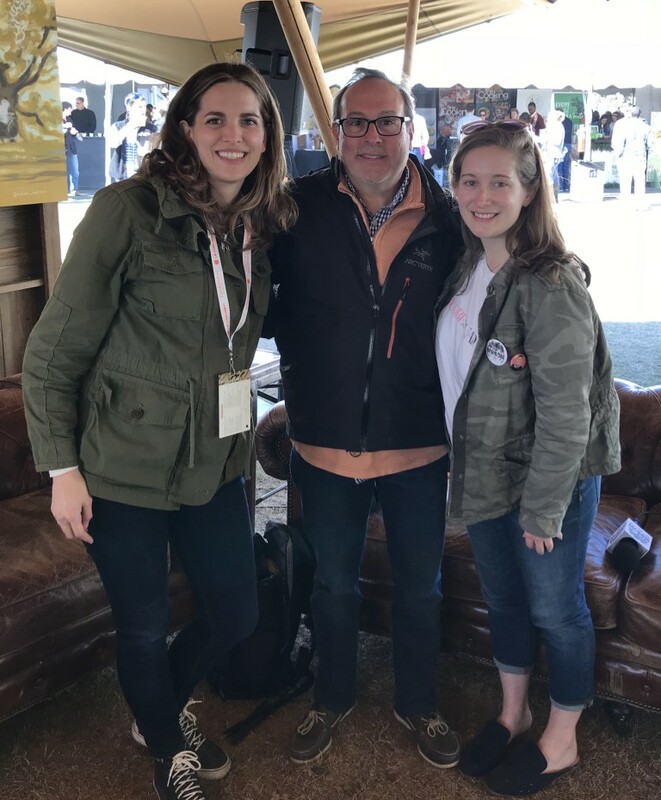 The following year, she sat down with Eli Sussman of The Line, and this year, she joined us for an episode of HRN Happy Hour where we previewed Holi City Shakedown, one of the festival’s most highly anticipated events. 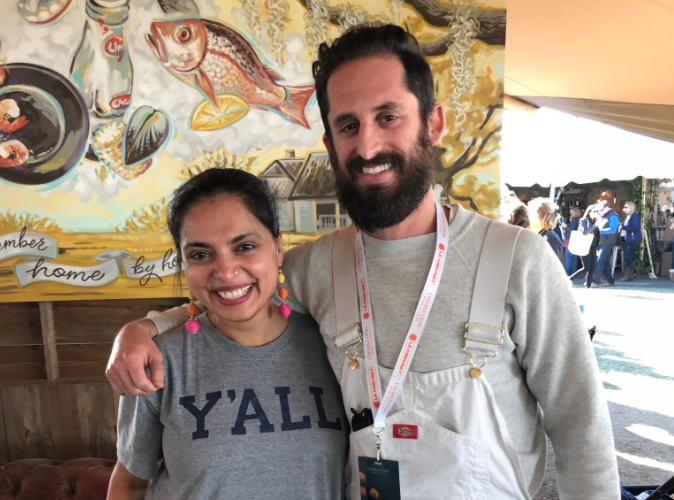 Click here for Maneet Chauhan’s appearances in 2017, 2018, 2019. It’s been an honor for us to welcome Steve Palmer for three consecutive years. Each time, we hear about the inspiring growth of Ben’s Friends, an organization that Steve helped found to offer hope, fellowship, and a path forward to professionals who struggle with substance abuse. We also love that Steve brings along chefs from his restaurant group, Indigo Road. In 2018, he introduced us to the newly minted Executive Chef at The Macintosh, Jacob Huder. This year, Steve was joined by Jeb Aldrich, the chef at Tiny Lou’s, the buzzy new French brasserie in Atlanta’s Hotel Clermont. Click here for Steve Palmer’s appearances in 2017, 2018, and 2019. Is there anything Steven Satterfield can’t do? Not only does he have one of the best restaurants in Atlanta, but he’s also an accomplished author and fan-favorite at festivals across the country. Plus, he’s one of the most outspoken chefs about the need to reduce food waste within the restaurant industry. In 2017, he sat down with one of HRN’s guest hosts, Rob Newton. Then, in 2018, he joined fellow Atlanta chef Nick Leahy to taste through some of Georgia’s finest brews. This year, we asked Steven to share some ‘Festival 101’ with us. It’s required listening for anyone who wants to what it takes for chefs to successfully plan and execute festival events like Steven’s Food Waste Dinner at Slow Food Nations. Click here for Steven Satterfield’s appearances in 2017, 2018, 2019. @noacktually heard a professional radio announcer on #heritageradio while playing radio bingo!